I needed to cover some mileage after an August of relatively shorter walks. To that end some sort of constrained walk was required where I could just follow a pre-ordained route or path – a road, river, trackway, railway, or something more esoteric or abstract that avoided an undue amount of map reading. The Metropolitan Line appealed as it would take me out to the edge of London being one of only two lines on the Underground that ventures outside Greater London (the Central Line is the other and that wasn’t running east from Bethnal Green due to new track being laid at Leytonstone). 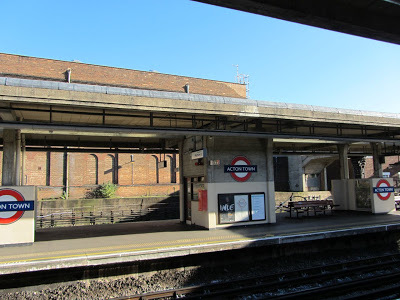 I caught the Overground to Finchley Road and Frognal and made my way the short distance to Finchley Road Tube Station on the Metropolitan Line. Examining the map in the Station I figured that anywhere past Pinner would be a bonus – it was 1pm, I was leaving late as ever. This first section to Wembley Park is one of the longest gaps between stations on the Underground – the longest being further along the Metropolitan Line between Chalfont & Latimer and Chesham at 3.9 miles – although Finchley Road to Wembley Park can’t be far behind. My walking route stuck fairly close to the track as far as Neasden where I then had to take a series of loops around Neasden Rail Depot, then along the North Circular, before crossing and heading up Blackbird Hill and reconnecting with the Metropolitan Line at Wembley Park Station. This two station leg of the walk clocked in at 9 miles somehow, which I’m still struggling to understand. 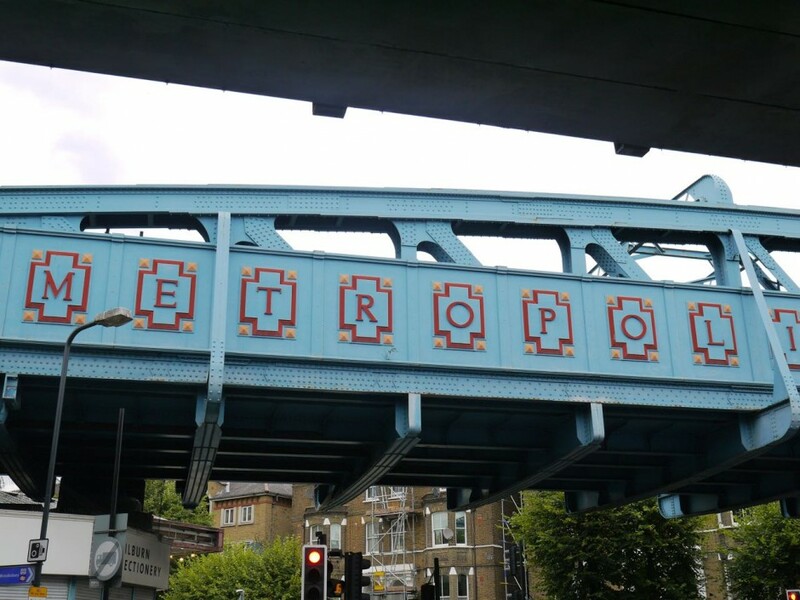 Slicing through West Hampstead, Kilburn, Willesden Green and Dollis Hill to Neasden was a slideshow of late Victorian and Edwardian railway suburbs bisected by traffic-clogged High Roads blackened by pollution. 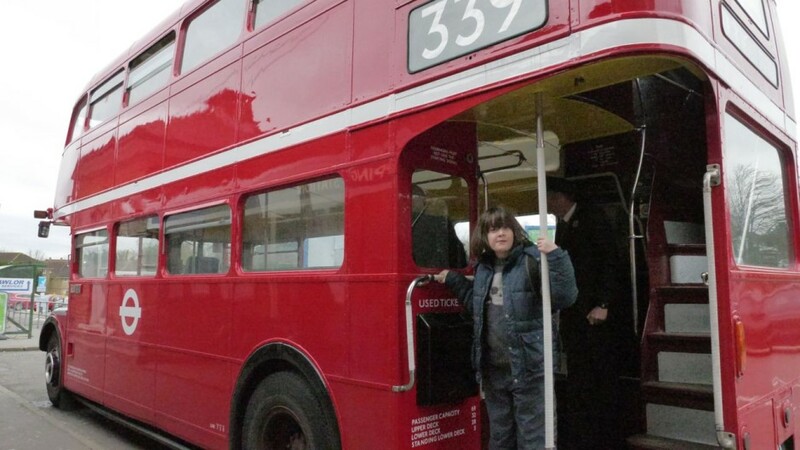 The tube trains rattled by behind the tall houses at the end of the gardens, heard but rarely seen from the street. It was a drizzly Sunday, a premature end to the summer, few people about. 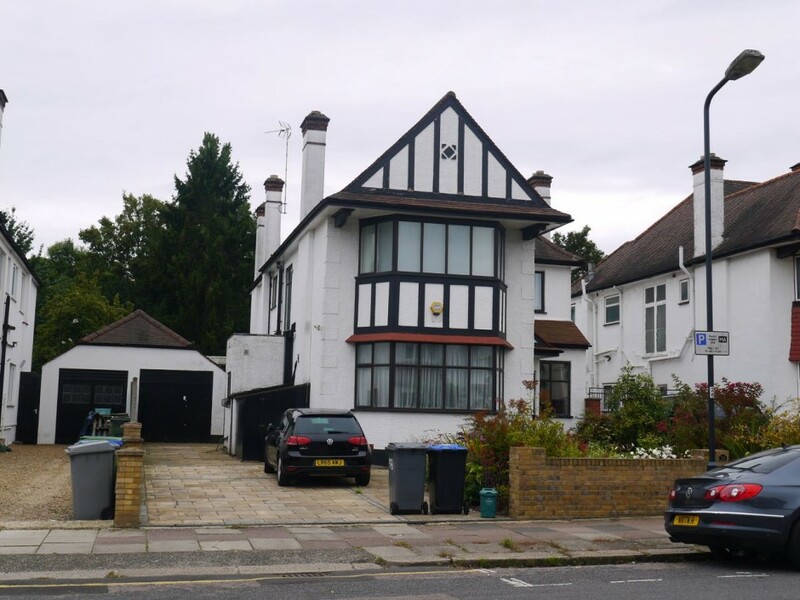 There were early signs of Metroland suburban villas in Brondesbury and Kilburn, redbrick medievalism, rookeries of accountants that spawned a generation of soap opera actors and rock stars. I wonder who lives there now. 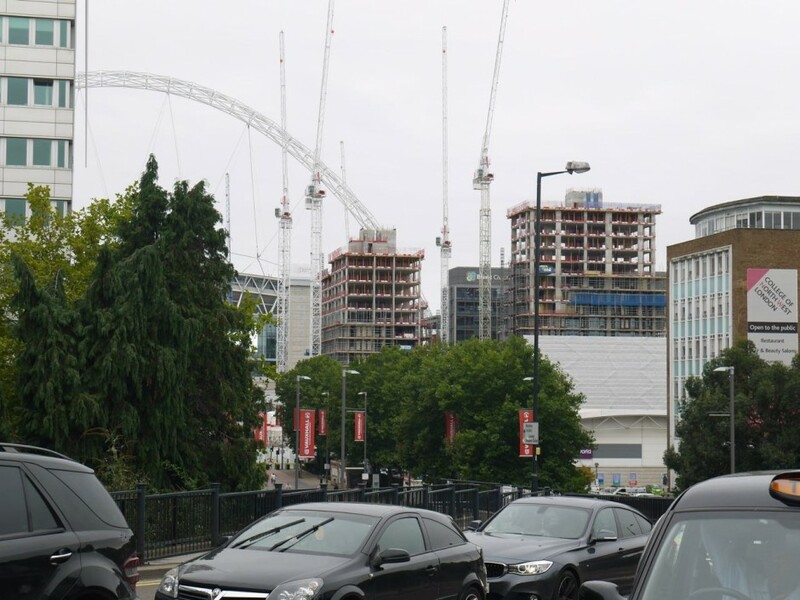 Nascent high-rise blocks are going up around Wembley Stadium, I still miss the old towers, that new arch just doesn’t have the same grandeur. Soon the once historic home of football will just be a feature in another ‘area of opportunity’ dwarfed by the ‘safety-deposit boxes in the sky’. After checking in at Preston Road Station, which looks oddly like it was plonked down on someone’s house when they relocated the station from across the road in 1932 and shortened the name from Preston Road Halt for Uxendon and Kenton, I cross John Billam Sports Ground to Woodcock Hill. The leaves on the trees that flank the Tube tracks are along turning bronze and amber, autumn seems to have arrived early this year, the price for that early burst of hot summer that feels long ago. Harrow-on-the-Hill town centre was not flattered by the grey spittle celebrating the closing of the shops. I needed a cup of tea and a rest so headed to the shopping centre food court where long queues formed at Subway and Burger King so I crossed back to the Costa Coffee by the Tube Station and watched the shoppers evacuating the Town Centre like the fall of Saigon. 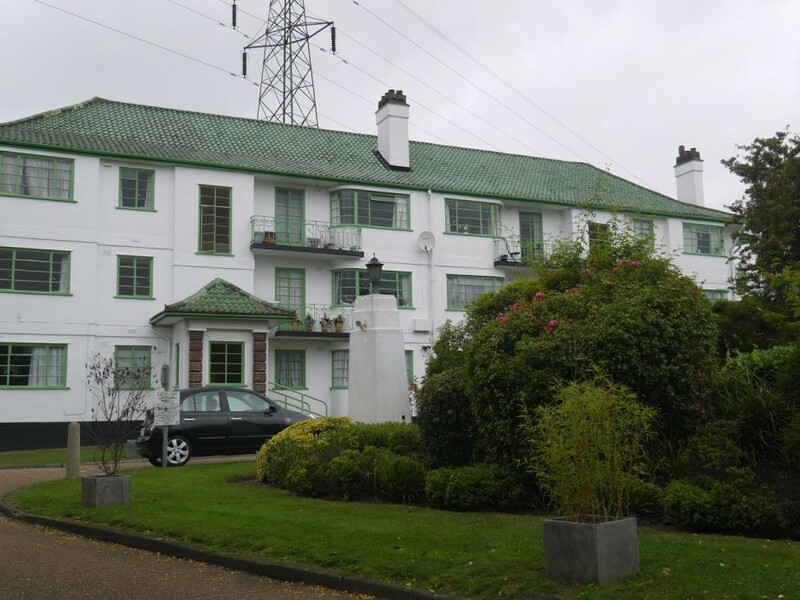 Leaving North Harrow I spotted an opportunity to make a long-delayed visit to Pinner Court – an art deco development of apartment buildings described in SPB Mais’ 1937 book England’s Character. Mais describes an expedition ‘suburb hunting’ in north-west London and writes of a “surprising moment of courage in building a series of dazzling white flats with green tiles, recessed balconies, multitudinous glass, and terraces fronting a communal public unfenced garden.” When I first read this 6 years ago I used the internet to track down the location of the flats at Pinner Court and planned a trip that I never made – it was slated as an episode of Ventures of Adventures in Topography, then a chapter of This Other London but remained elusive. Finally standing there on the unfenced public garden out front as described by Mais it didn’t disappoint. The building, designed by architect HJ Mark and completed in 1936 would have been gleaming new when Mais visited, it still sparkles even in the rain. I wished I had more time to loiter in Pinner, but the light was fading along with my stamina and to stop now would have been fatal. Carluccio’s was bustling and there wasn’t a table to spare in Cafe Rouge. There were a couple of inviting old pubs beneath the church on the hill. 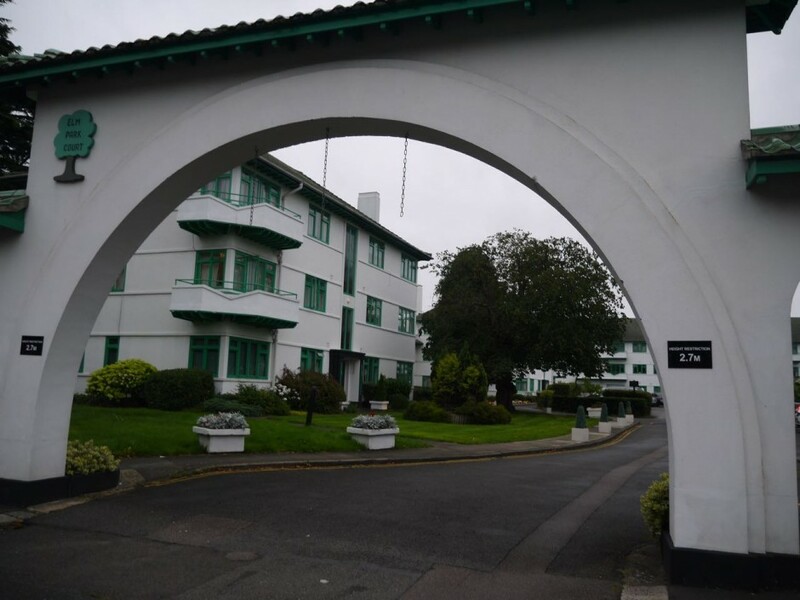 I pushed on along the road to Northwood Hills and was rewarded by another modernist wonder at Elm Park Court designed by HF Webb also in 1936. 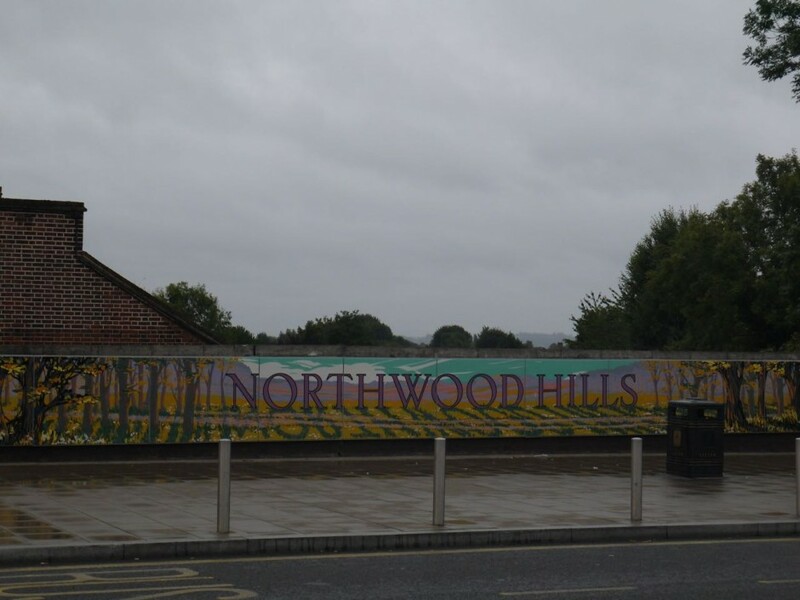 The rain hardened as I approached Northwood Hill station. I dug my poundshop groundsheet from my rucksack and spread it on a wet bench and munched an dinner of bread and banana. 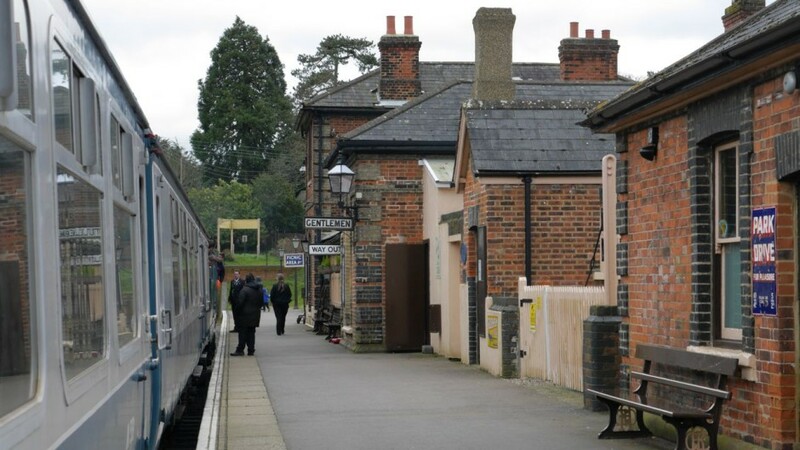 I was tired now but determined to chalk off one more station so forced myself onwards to Northwood with its proud high street and war memorial. Luckily there was a comfortable friendly pub not far from the station where the locals watched the Belgium v Greece match. A singer with a guitar started playing cover versions to a digital backing track and people instantly got up and danced. The perfect end to a walk into Metroland. A midweek morning drop the kids off at school then wander. The patch of forest off-cut opposite The Green Man glimmered in the morning sun – it was irresistible. I followed the back roads up to the Redbridge Roundabout then suffered the Eastern Avenue till the chunks of pollution got too big to chew down and I ducked off the main thoroughfares again till emerging at Gants Hill. 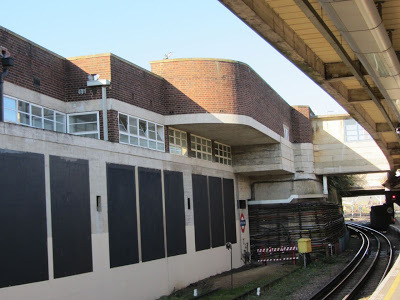 Lurking beneath the roundabout at Gants Hill is a network of tunnels more like a space station than a tube station – the eastern cousin of the subterranean complex at Hanger Lane, opened the year before Gants Hill was finally revealed in 1948. Both stations sit upon the Central Line – Gants Hill’s ‘bright empty space’ beneath the roundabout the great tube architect Charles Holden‘s tribute to the Moscow Metro which he had been invited to visit after the builders of the Moscow network had originally been inspired by Holden’s Piccadilly Circus station. (Hanger Lane was completed by a former assistant of Holden – Frederick Curtis). The golden vaulted ceilings of the concourse between the platforms reverses the pattern of other underground stations which show their wares upfront with decorative ticket halls. At Gants Hill the ticket hall is barely there – a minor node in the tangle of tunnels before the escalators guide you to Valhalla deep below the traffic hell. You wouldn’t normally think it was a stroke of luck to have to break a tube journey to head off on another branch of the Piccadilly Line. 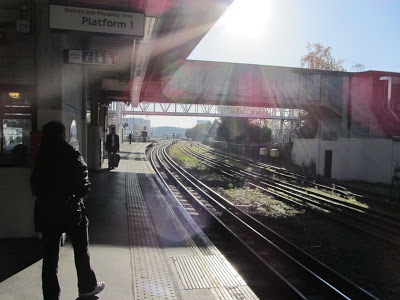 But in the brilliant sunshine of last Sunday morning it was my good fortune to find myself at Acton Town Station. Looking back towards Central London was like gazing at a mountain range. 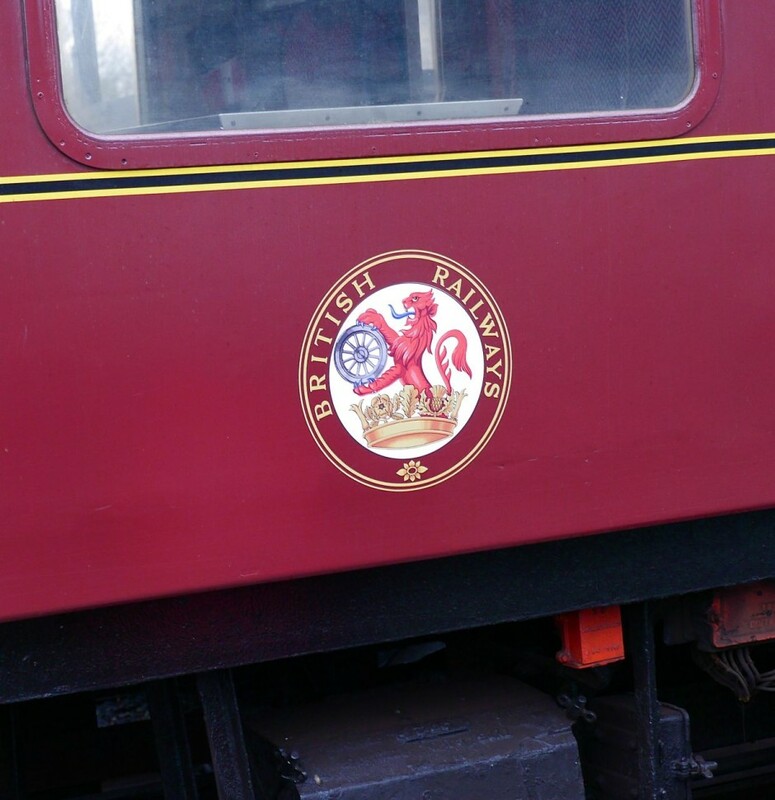 Wikipedia says the station was originally called Mill Hill Park before the Piccadilly Line barged through. 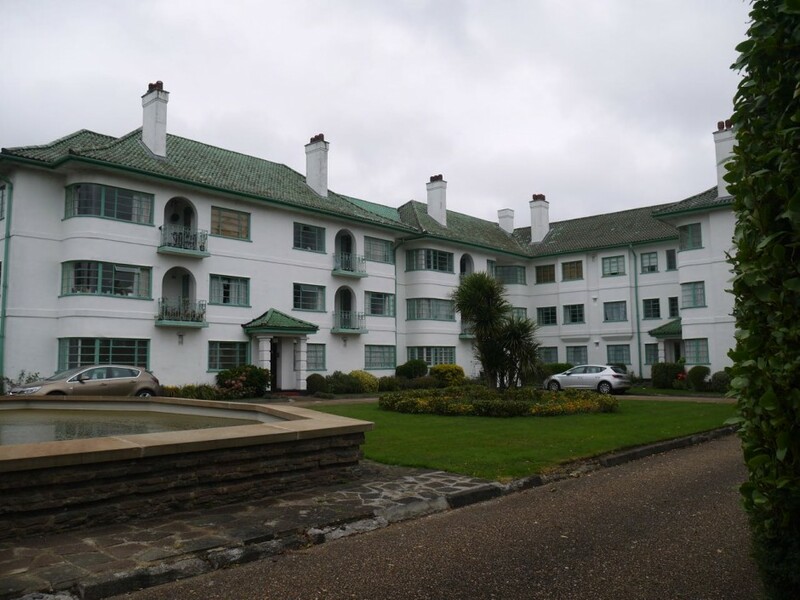 It’s another of Charles Holden’s masterpieces with it’s graceful modernist curves and geometric windows. I was grateful for the 6 minute wait for the next Rayners Lane train. Inside the former Distict/ Hammersmith and City Line Station in East London.